This section rambles about why I wanted to build a Shard cam, jump to the Design/Build section if you can’t be arsed for the reasonings. I live in south* London, which means that the everywhere I look the Shard stands over me. Now its reported that a flat in this tower of Babel will cost north of £30 million quid. Lets hope the lifts work. £30,000000 / (365 *10) = £8230 a day. If we plug those numbers into my proprietary financial model algorithm, we see that £30M spread over ten years equates to £8230 a day (with rounding). I also assume that you buy this type of flat for the view** Dividing it further, each rainy hour costs around £342. Its even higher if you don’t count the night time. So why do I need a webcam? Well I want to find out how often the shard is obscured by rain, and therefore how much money has been eaten by the British weather and then laugh at the knobs who splashed so much cash. This guide has an excellent set of instructions for unboxing the logitech 9000. 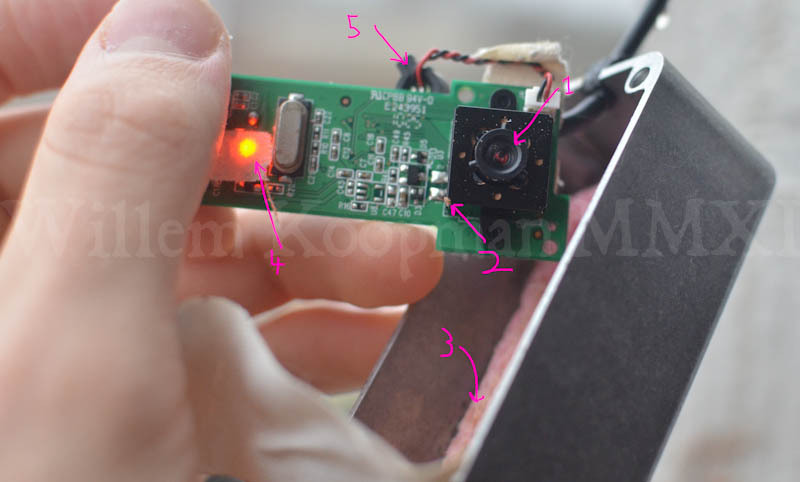 He’s carefully documented all the steps needed to strip the webcam to the core. I stopped at step 11, as I’m not going to fiddle with the optics. Those of you who’ve read my exploits with Outdoor sensors, and GPS loggers will have seen me briefly describe the deficiencies of IP rated cases. Basically if they are not rated for full immersion then they are most likely powerless against rain. In the above picture the oily clingfilm is marked as number 2. The reason why I’ve annotated the wire is because water is very good at running down wires. When it hits something solid like the webcam case, it sit there in a nice pool. Autofocus lens, it is suspended on a tiny linear motor and will move if you touch it. This means you have to be careful that its not touching the case. Assorted fluff derived from the sponge that holds the PCB in the case. 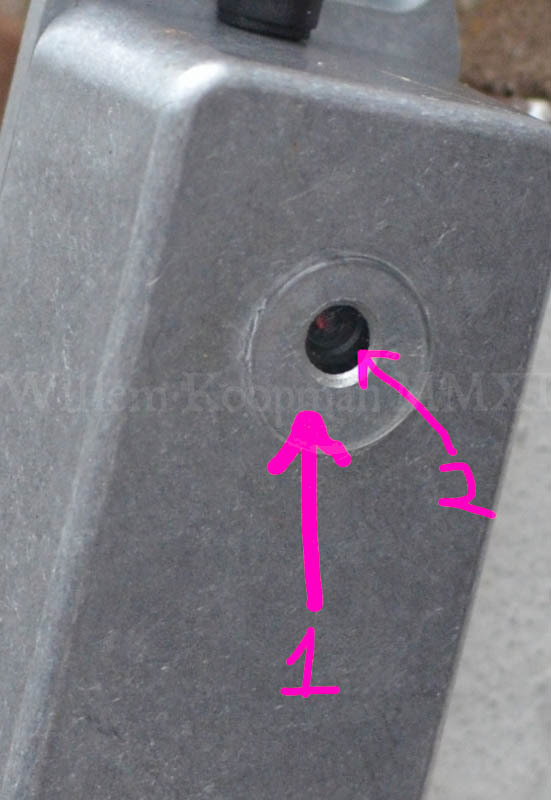 Sponge guide, aligning the webcam to the “peep hole”. An excellent case for using shapeways to 3d print a jig to hold it solid. The glass lens protector from the original case, super glued into place. The webcam slightly on the piss. Pingback: Quantifying Cloudiness with OpenCV | Daily IT News on it news..it news..
Love your calculations and justification. Kind of puts it into perspective how daft the thing is…. Why 10 years? Surely the lease will be for substantially longer than that and thus the daily and hourly cost is an order of magnitude lower as per that difference. I like your logic, or if you are a rich Russian – you will probably be killed or ‘commit’ suicide within 10 years. I’ll be very disappointed if you’re not on the new year’s honours list.